A deliciously ambrosial delight made with real strawberries, suffused with Champagne and drizzled with rich dark chocolate. These best-selling marshmallows make a perfect, original and delicious treat for picnics, dinner parties, weddings or just for yourself.Our award-winning handmade gourmet marshmallows are light as a feather and freshly made at our farmhouse in Cornwall in small batches, using only fine, natural ingredients. Sophie Dahl calls them 'sublime' and Channel 4's Sunday Brunch panel declared them their 'absolute favourite'. 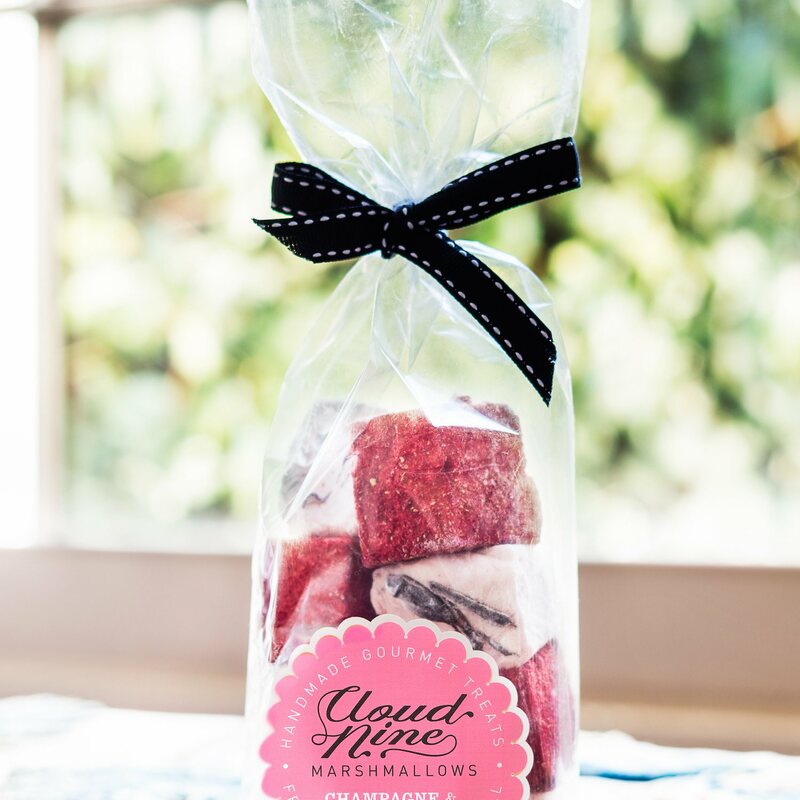 Net weight: 100g.Each bag contains around ten inch-cubed marshmallows, half coated in freeze dried strawberry powder and half drizzled with dark Belgian chocolate. 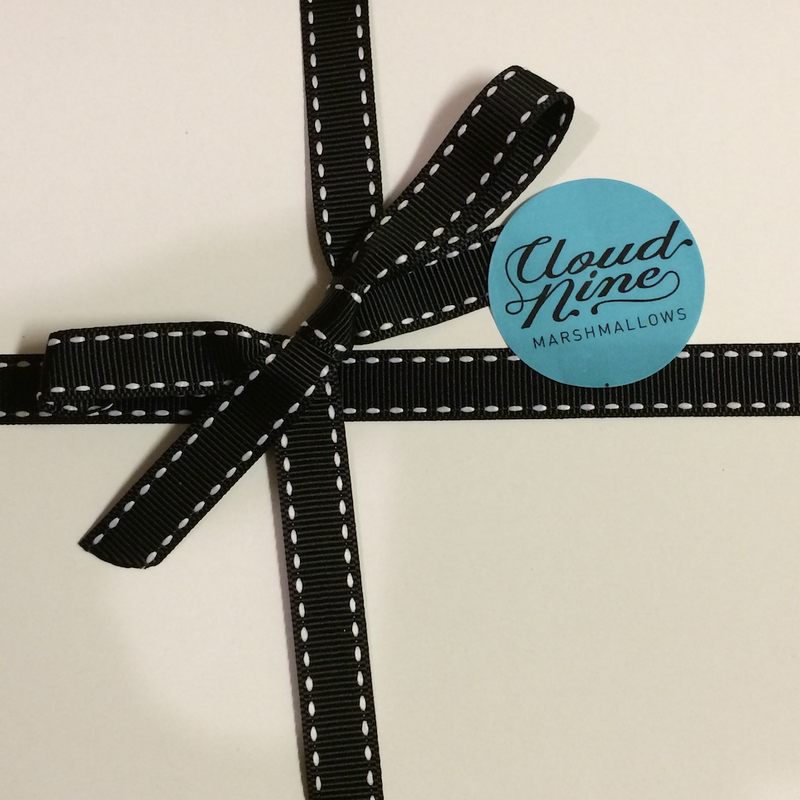 Delivery is just £3.35 or FREE if you order 5 or more bags of any of our marshmallows, see our other listings for more flavours. Sugar, Strawberries 22%, Liquid Glucose, Freeze-dried Strawberry powder 5%, Dark Chocolate, Cocoa Butter, Gelatine, Icing Sugar, Cornflour, Glycerine, Cornish Sea Salt. Gluten Free, Egg Free Not suitable for children or vegetarians. Contain alcohol.